Many commentators have drawn connections between the popular uprisings in the Middle East and the arrest of Chinese artist, Ai Weiwei. But is there any connection between the arrest of Ai Weiwei and the recent arrests of street artists in the USA? This year artist LA II, aka Angel Ortiz, a former collaborator with Keith Haring was arrested in New York. 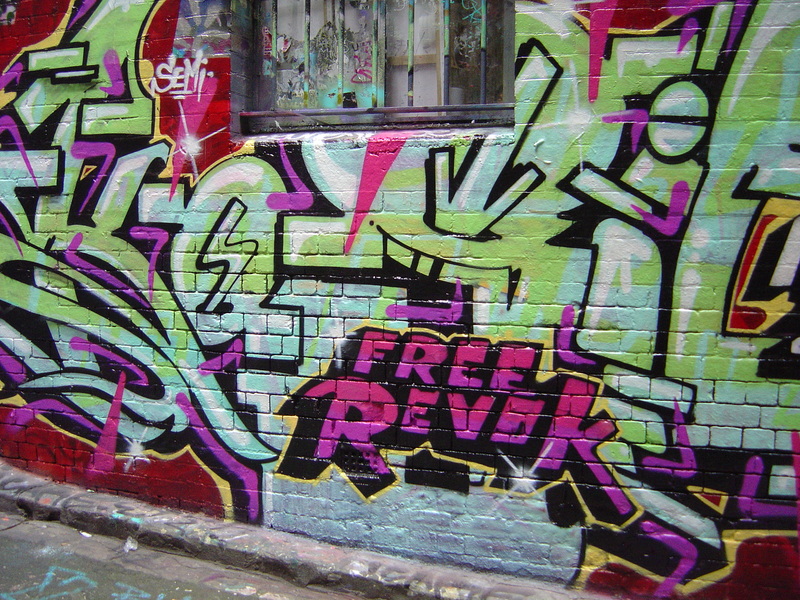 And there have been multiple arrests of street artists in Los Angeles including: Revok, aka Jason Williams, the French artist, Space Invader (arrested 20/4/11) and Smear, aka Cristian Gheorghiu (arrested 16/4/11). One reason for all the arrests in Los Angles was MOCA’s “Art in the Streets” exhibition attracting street artists to LA. (Sharon Mizota reviewed the exhibition for the LA Times). But this is beside the point, although the law says that the arrests are about vandalism. It is actually about image as no wall has ever been actually damaged by the application of a coat of paint. The arrest of these artists is no more about vandalism than Ai Weiwei’s arrest is about his alleged economic crimes. Although I’m sure that capable prosecutors in both countries will be able to legally prove their respective cases according to their respective laws. Like many people around the world I have been cheering on the Arab Spring from the security of my home. I have also been trying to watch out for any street art and graffiti developments in these historic events. I keep searching for a story about graffiti in the popular uprisings in the Middle East but it has been mostly small stuff. There is this little report about some graffiti during the protests in Egypt. On 26/3/11 SBS news reported that major demonstrations and subsequent riots in Syrian were sparked when police arrested youths for doing anti-government graffiti. In the Middle East there are donkeys that can be mobile billboards for anti-government graffiti. The added bonus to painting a donkey is that the police can’t capture or kill the donkey and maintain their dignity. The reason for the government crack down on street artists in the USA, on artists and human rights campaigners in China, and on anyone who protests in the streets in the Middle East is basically the same. The street is highly symbolic; it is the public face of the collective consciousness. Public area is part of a political discourse – does it belong to the people, every individual person, or to the government, and a ghostly idea of “the public”? 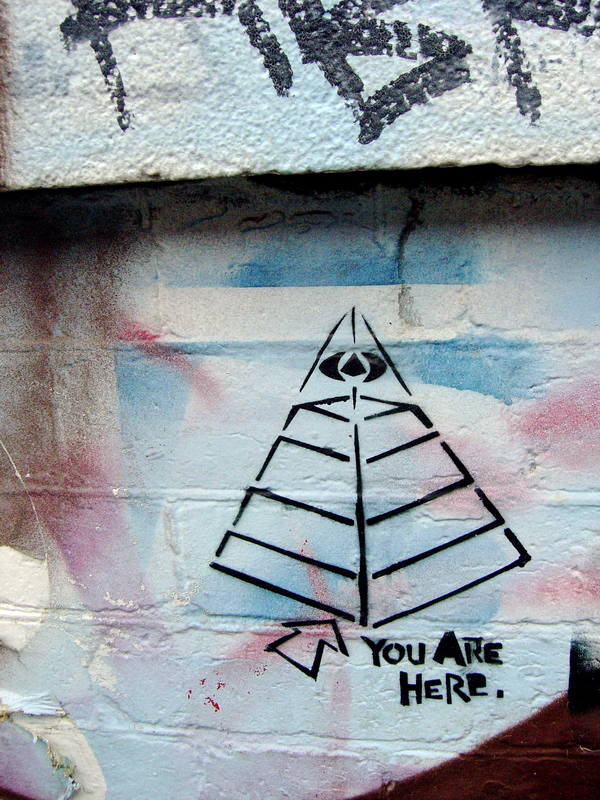 Street art is a revolt about the definition of public and private space in the modern city. And like the occupation of the streets in the Middle East, or Ai Weiwei’s activism, it is a threat to authority of the ruling party and their claim to represent the public.